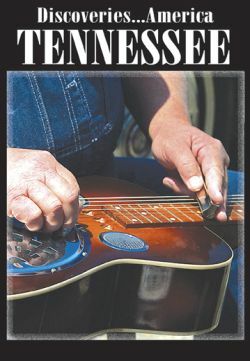 Old-time mountain music, bluegrass, country, rock & roll and blues have deep roots in Tennessee. Nashville earned title �Music City USA�. Country Music Hall of Fame, see music�s history & important artifacts. The Grand Ole Opry longest running live radio show in USA. Old-time mountain music, bluegrass, country, rock & roll and blues have deep roots in Tennessee. Nashville earned title �Music City USA�. Country Music Hall of Fame, see music�s history & important artifacts. The Grand Ole Opry longest running live radio show in USA. Hatch Show Prints, an original wood block printing house makes show posters. Making hats in Winchester, there are several steps to creating high quality hat bodies. Chattanooga with new waterfront & Tennessee Aquarium � largest freshwater aquarium in world. Incline railway to Lookout Mountain and Chattanooga National Military Park. Restored Dentzel Carousel graces Coolidge Park. Mississippi Queen riverboat is connection to rich river history. Fishing at bass tournament & trip to freshwater pearl farm in Kentucky Lakes region. Fine music at Holladay Bluegrass and Fiddlers Jamboree.